I've been making this salad for lunch and I'll eat it for a few days. 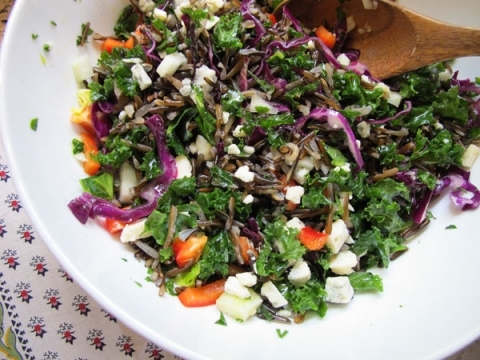 Kale (or Swiss Chard…of which we have an abundance), Fennel, Red Cabbage, Peppers, Wild Rice, Gorgonzola…yummy! Jenn it will get better.Sometimes when they’re small it seems as if time passes so slowly and you think it will never end.But as they get older it gets better.It really does.And now that I’m a grandparent it flys by.Enjoy the simple small things that happen everyday.